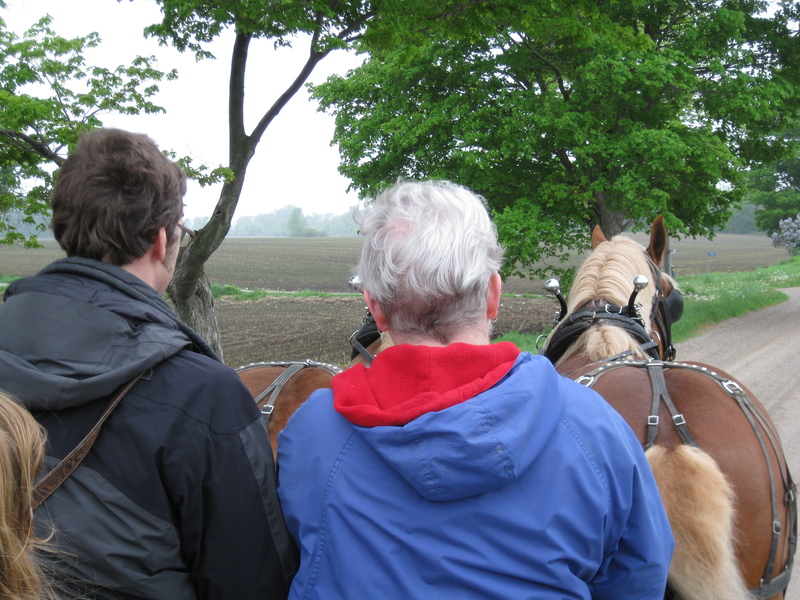 On Saturday May 28 several members from the LWS took a field trip to Singing Brook Farm near Woodstock. This was one of the best field trips yet. A few of us were lucky enough to drive the horses and Buddy thought we might find a way to use all our field trip skills together in a future event. How would that go? Ghost hunting in the dark with shotguns whilst driving a horse-drawn wagon!? Sounds like a good story! Here’s a post from my perspective on our field trip. For those who couldn’t attend there are photos and a video for your enjoyment! A big thank you to Elaine, Erin and Richard for organizing this trip, and to everyone who came making it worthwhile for our hosts to give us an informative tour, and unforgettable morning!